Finally I will retire on the 30 October after 4 years with Olsen Irwin and 40 years with Rex Irwin Art Dealer. Most of the artists that came with me to Olsen Irwin will continue to exhibit with the gallery, which will now be known as Olsen. I would like to thank Tim and Katrina for making my stay at the gallery fun, stimulating and occasionally exasperating (for all of us) I intend to keep the association with Tim and will, from time to time, organize an exhibition at the gallery. I would like to thanks all the artists with whom I have been involved over the years for the delight of our journey together and to my clients, many of whom have become dear friends, I thank you for your support, generosity and the occasional kick in the bum, which I’m sure I needed! After all these years of changing exhibitions, changing fashion and changing prices I’m in for one last change – but I have no idea what that will be. It has been a great privilege to work with Rex. He has not only brought much to the gallery, but also the staff and artists who came to continue working with him. It should not be underestimated how much Rex has contributed to the Australian art scene at large. Exhibitions normally reserved for institutions with artists like David Hockney, Henry Moore and Frank Auerbach to only mention a few. He has also nurtured and enhanced the reputations and careers of many Australian artists in the aura of these masters. He represents a great eye, a scholarship and a sophistication normally only reserved for Northern Hemisphere galleries. No one else will emulate Rex’s courage and astuteness and the Australian art world will be poorer for his retirement. Olsen Irwin would like to help Leila Jeffreys draw awareness to National Bird Week that falls between Monday 17 October and Sunday 23 October for 2016. Leila Jeffreys ‘Duke’ Eastern Grass Owl no.2 (2014), fine art inkjet print on archival cotton rag paper, 112 x 89cm, $2,750 (unframed), edition of 14 and 2 Artist Proofs. 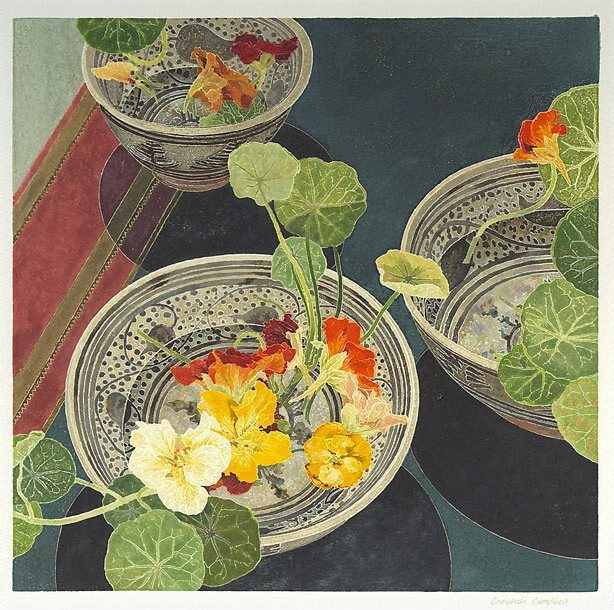 The late Martin Sharp (1942 – 2013) chose the 2002 work of Cressida Campbell, Nasturtiums, for his Artist’s Choice text featured in the current issue of ARTAND Australia. Images from our friends at Handpicked Wines from the opening of Nicholas Harding’s exhibition ‘Drawing Godot‘. The exhibition documents the Sydney Theatre Company’s 2013 production of Samuel Beckett’s ‘Waiting for Godot’. With Richard Roxburgh and Hugo Weaving as leads in the production, the exhibition was kindly opened by Richard Roxburgh on Saturday 10 May. This week is the final opportunity to view the exhibition, closing Sunday 25 May. 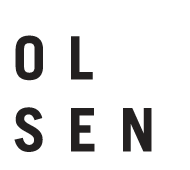 Olsen Irwin would also like to thank their partner Handpicked Wines for providing the Handpicked Coonawarra Cabernet Sauvignon and Handpicked Margaret River Sauvignon Blanc Semillon for the exhibition opening. The Design Files takes us inside the Sydney home and studio of artist Paul Davies and wife Sarah. The small home is filled with an exceptional art collection, including works by other Olsen Irwin artists; Andy Taylor, Michael Johnson and Tim Summerton. Although the artist has recently relocated to the USA with wife Sarah, they do plan to return to Australia, and their home, in 2015. For more images and to read the entire post on The Design Files, click here. Paul Davies available works can be viewed here on the Olsen Irwin website. Black and white abstract painting is by Paul Davies (acrylic on canvas, 2007), painting on right hand side is also by Paul Davies, entitled ‘Home in Blue Forest’ (acrylic on linen 2014). Photo – Sean Fennessy, production – Lucy Feagins / The Design Files. Bedroom dresser. Painting – ‘Outside: Afternoon’ by Andy Taylor, oil on canvas, 2011. Photo – Sean Fennessy, production – Lucy Feagins / The Design Files. Artwork above couch – ‘Hanmer Springs and House’ by Paul Davies, pastel on paper artwork by Michael Johnson, cushions by Sixhands. Photo – Sean Fennessy, production – Lucy Feagins / The Design Files. Paul hand cutting a stencil in the studio. Photo – Sean Fennessy, production – Lucy Feagins / The Design Files. Paul’s studio desk. Photo – Sean Fennessy, production – Lucy Feagins / The Design Files. Paul’s studio. Painting – ‘Home Built in Palms”, acrylic on linen, 2014 – for upcoming solo exhibition at Art District 13 Gallery, Delhi. Photo – Sean Fennessy, production – Lucy Feagins / The Design Files. Portrait of Paul in his Surry Hills studio, located just a short distance from his home. Artwork behind is ‘Home and Pool’ by Paul, for an upcoming solo exhibition at Art District 13 Gallery, Delhi. Photo – Sean Fennessy, production – Lucy Feagins / The Design Files. The New York Times‘ Tony Perrottet visited Olsen Irwin on a recent trip to Sydney. Tasked with discovering the city’s cultural highlights, Perrottet refrained from visiting Sydney’s iconic beaches and landmarks.